Reince out, another highly decorated retired Marine is in. In the aftermath of the failed ACA repeal, Trumpcare is out as is Chief of Staff Reince Priebus. This is the latest shakeup in recent weeks of key staff members. Mr. Priebus, former Republican National Committee Chairman, submitted his resignation late Thursday morning. He traveled with the president on Friday and was seen to depart Air Force One with two West Wing staffers, and peel off of the motorcade in a secret service van. Trump made the announcement via twitter and moments later, the two staffers departed and Priebus left the tarmac. President Trump applauded the work and character of Priebus stating “he is a good man.” In his Tweetment President Trump made the announcement that John F Kelly was named new Chief of Staff. “He is a Great American…and a Great Leader. John has also done a spectacular job at Homeland Security. He has been a true star of my administration.” President Donald Trump. John Kelly, Gen USMC (ret) was tapped by Trump shortly after the election to head up The Department of Homeland Security. 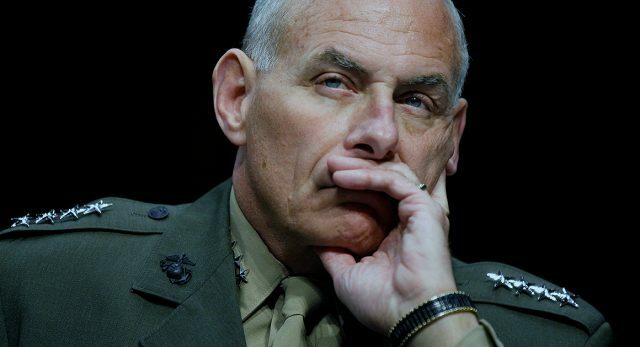 Kelly has retired from the Marine Corps only eight months earlier and had a reputation of avoiding the political arena. As a marine he served for nearly 50 years and notable assignments included legislative liaison to Congress, multiple tours in Iraq and Afghanistan, and chief of Southern Command. The latest move follows a series of other shakeups, notably including last Friday’s resignation of Sean Spicer and appointment of Anthony Scaramucci. Rumors swirled the toilet bowl known as the West Wing Rumor Mill following the announcement of Scaramucci as the White House Communication director. Sean Spicer was the acting Communication Director and Press Secretary. Sarah Huckabee was also named the Press Secretary. The rumors began when “hot mic” and “confidential conversation with reporters” were made public when Scaramucci gave a blistering attack of Priebus and accused the former Chief of Staff of being the source of the leaks at the White House in an often expletive filled rant. This followed previous turmoil among Priebus and Steve Bannon, Trump top advisor. These allegations and controversy are the latest in the rocky road known as President Trump’s inner-circle. It is expected there were will be other high profile shakeups in the coming weeks. Priebus leaves the White House with a historical distinction; the shortest serving Chief of Staff in history after serving 189 days. The position was formally created in 1946.